Ashlyn Tupper’s face crumpled into sorrow one moment and brightened with a wry grin the next as she depicted four distinct characters while practicing a speech at Grand Canyon University on Wednesday night. The GCU senior’s topic was why men portray women characters in video games, and one of her roles was Lara Croft from “Tomb Raider,” a heroine who performs spectacular feats while wearing very tight clothes. 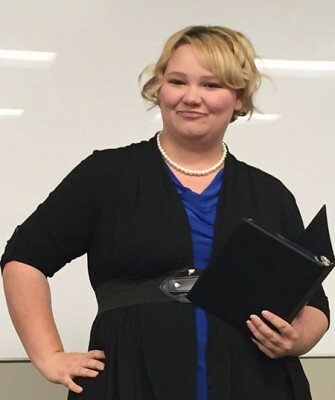 She and other members of GCU’s speech and debate team, part of the College of Humanities and Social Sciences, were rehearsing on the eve of their departure Thursday for the Aztec Invitational at San Diego State University. The tournament, Friday through Sunday, will involve students from 30 colleges and is the first of 10 competitions, mostly in California, in which GCU’s 18-member team, which includes eight returnees, will compete this year. At last year’s tournament, the students brought home awards in impromptu speaking, persuasive speaking and dramatic interpretation, said communications instructor Barry Regan, the team’s founder and adviser. Although this year’s team is young, it’s also strong, Regan said. For example, juniors Zachary Kuykendall and Thomas Rotering were the runners-up in parliamentary debate at a prestigious national competition for Christian universities. 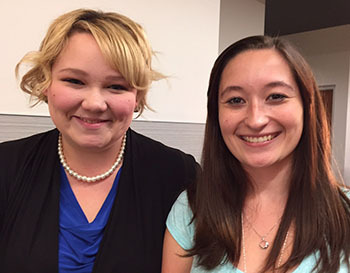 Both Tupper and (Chloe) Saunders won first place awards in their speech categories in the same national contest. Saunders is only a sophomore this year. “We are very fortunate,” their coach said. Speech and debate are different areas of competition, and Regan, who debated in high school and college and started the GCU team two years ago, is passionate about both. Speech enhances essential oral communication skills that so many companies seek. “Debate is the training ground for how to enact policy or formulate policy at a local, state and federal level,” Regan said, noting that until recent years, more than half of members of the U.S. Congress had debate experience. GCU students participate in the parliamentary debate style, which pits two students per team against each other. They learn just 20 minutes before the competition what topic they will argue, so to prepare, they become well-versed on major current events, Regan said. Topics they might face this weekend include Russia’s bombing of Syria, U.S. relations with Cuba and the Trans-Pacific Partnership trade deal, Regan said. Speeches are either memorized or extemporaneous, and topics stem from literature and poetry. Students touch on big social issues, such as gender, class and race, Regan said. Saunders, a sophomore, on Wednesday was rehearsing a speech about the overmedication of foster children. Saunders said she knows a child who was prescribed five different medications before the age of 6, and another with whom she was familiar had lived in 16 foster homes. 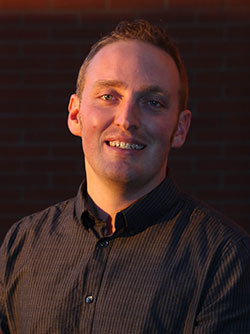 Tupper’s speech topic was taken from a compilation of poetry about the objectification and hyper-sexualization of women characters in the video-game arena. In addition to acting the part of Croft during her speech, Tupper also portrayed a gamer, the girlfriend of a gamer, and the mother of a son about to play his first video game. The other members of the speech and debate team are: juniors Jacob Barney, Jessica Bradley, Austin Johnson and Felicia Lopez; sophomores Alaina Owen and Christian Alandzes; and freshmen Jasmin Sharp, TaylorRae Humbert, Chrycia LeGendre, Keliann Nash, Thomas Gleason, Kara Sutton, Stepan Stadnitskiy and Brian White.